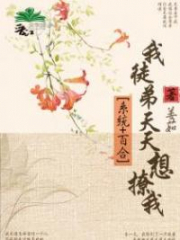 Read novel online » Venerated Venomous Consort » 1378 Gu Xijiu, We Can Help You! Venerated Venomous Consort 1378 Gu Xijiu, We Can Help You! Luo Zhanyu quickly ran to Gu Xijiu. He took up her hand. "Xijiu, do not worry. He is so powerful. He will be fine. Please heal your hands first…"
She was born to be good at breaking the wizardry barrier. When her spiritual power was at a low level, she was already very good at breaking the wizardry barrier, not to mention that her spiritual power is now already at level ten. She already has a demiG.o.d physique, so the spells she issued were more than powerful enough to shake the whole mountain! Venerated Venomous Consort 1377 Di Fuyi, You Lied To Me! You're Read Venerated Venomous Consort 1378 Gu Xijiu, We Can Help You! online at NovelOnlineFull.com. You can use the follow function to bookmark your favorite novel ( Only for registered users ). If you find any errors ( can't read,broken links, can't load photos, etc.. ), Please let us know so we can fix it as soon as possible. And when you start a conversation or debate about a certain topic with other people, please do not offend them just because you don't like their opinions. Current Time is 24-Apr-2019 00:23:00 AM.